Donald Moffett (b. 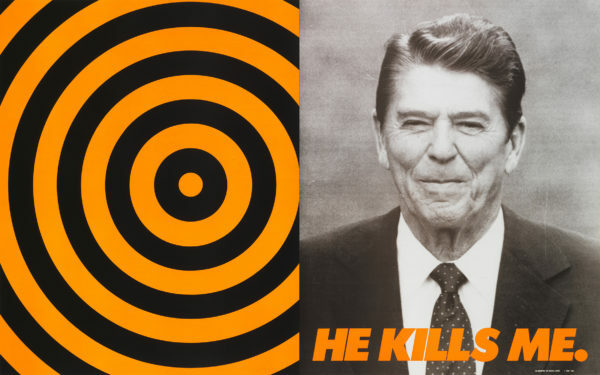 1955), He Kills Me, 1987. Offset lithograph, 23 1/2 x 37 1/2 in. Gift of David W. Kiehl in memory of artists and artworkers who died of AIDS 2012.160 © Donald Moffett. I received a lovely text the other night from Chris Stewart (our managing editor) saying that he had arranged for a press visit to the Whitney Museum of American Art. We went for the Grant Wood and Zoe Leonard exhibitions, but one does not simply go to the Whitney and not check out every floor. We started at the top and worked our way down. The Wood show was a funhouse experience, and the Leonard was one of detailed thoughts. In various forms, there is art protesting the AIDS crisis, the war in Vietnam, racism, abuses of power, sexism, and the Whitney itself. In several rooms full of affecting work, it becomes clear that the show is much more than the sum of its parts. It’s a profoundly moving experience that needs to be felt in person. 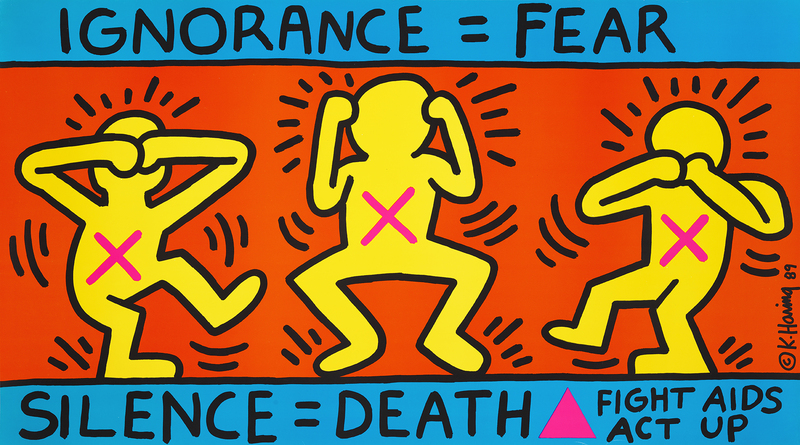 Keith Haring (1958-1990), Ignorance = Fear / Silence = Death, 1989. Offset lithograph, 24 1/16 x 43 1/16 in. Whitney Museum of American Art, New York; gift of David W. Kiehl in honor of Patrick Moore 2014.265 Keith Haring artwork © Keith Haring Foundation. Annette Lemieux (b. 1957), Black Mass, 1991. Latex, acrylic, and oil on canvas, 95 13/16 x 105 x 1 13/16 in. Whitney Museum of American Art, New York; promised gift of Emily Fischer Landau P.2010.173 © Annette Lemieux. May Stevens (b. 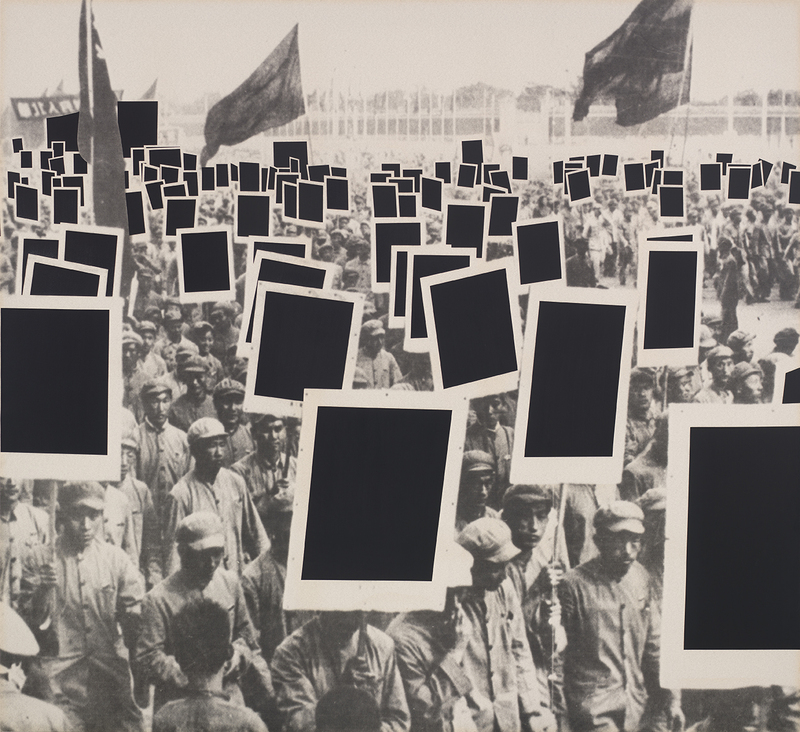 1924), Dark Flag, 1976. Acrylic on canvas, 60 1/8 x 60 1/8 in. Whitney Museum of American Art, New York; gift of the artist 2005.34 © May Stevens; Courtesy of the artist and RYAN LEE Gallery, New York. 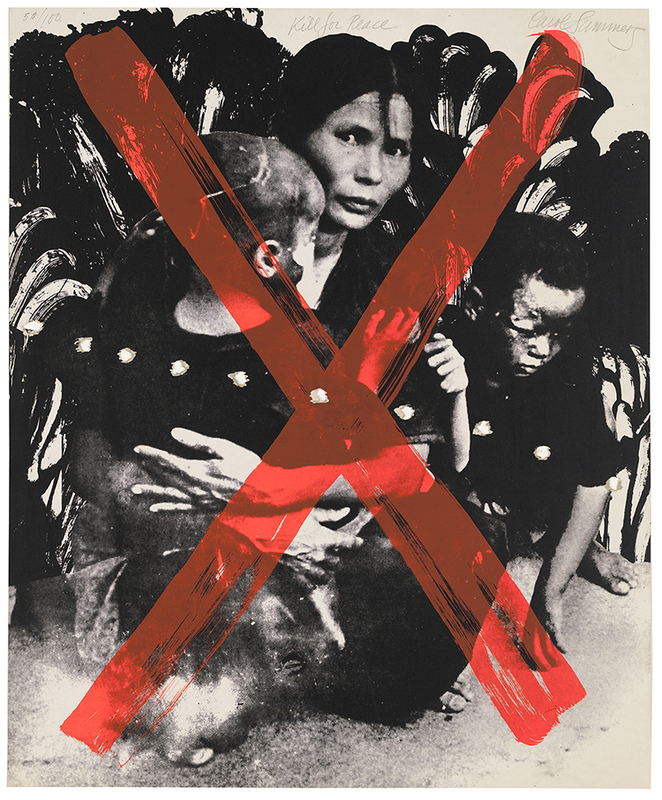 Carol Summers (1925-2016), Kill for Peace, 1967, from ARTISTS AND WRITERS PROTEST AGAINST THE WAR IN VIET NAM, 1967. Screenprint and photo-screenprint with punctures on board, 23 3/8 x 19 1/4 in. Whitney Museum of American Art, New York; purchase, with funds from the Print Committee 2006.50.14 © Alexander Ethan Summers. 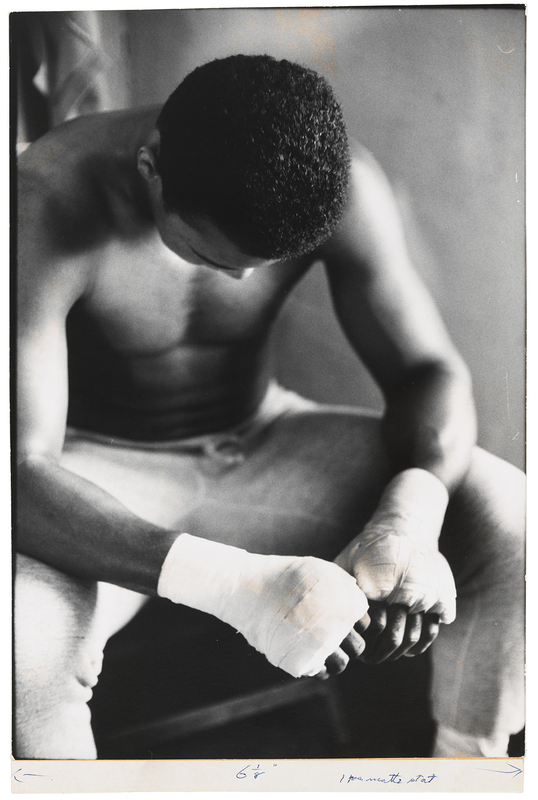 Gordon Parks (1912-2006), Bandaged Hands, Muhammad Ali, 1966. Gelatin silver print, 13 5/16 x 9 1/4 in. Whitney Museum of American Art, New York; purchase, with funds from Joanne Leonhardt Cassullo, The Dorothea L. Leonhardt Fund at The Communities Foundation of Texas, Inc., and Michèle Gerber Klein 98.59 Courtesy of and © The Gordon Parks Foundation. 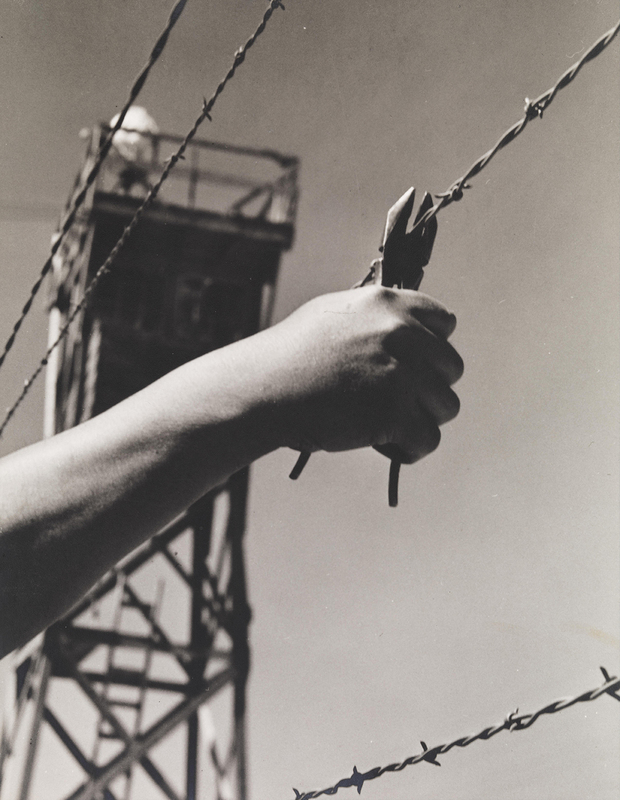 Toyo Miyatake (1895–1979), Untitled (Opening Image from Valediction), 1944. Gelatin silver print mounted on board, 9 7/16 x 7 5/16 in. Whitney Museum of American Art, New York; purchase with funds from the Photography Committee 2014.243 © Toyo Miyatake Studio. 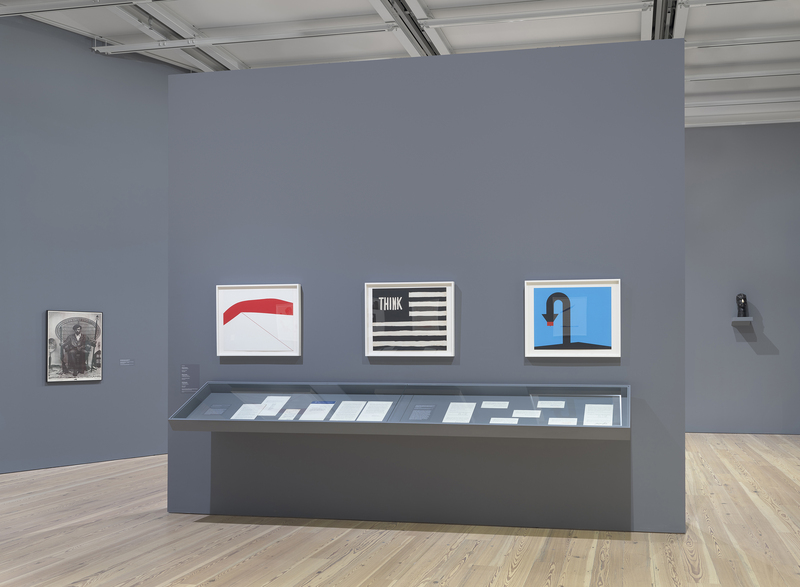 Installation view of An Incomplete History of Protest: Selections from the Whitney’s Collection, 1940-2017. 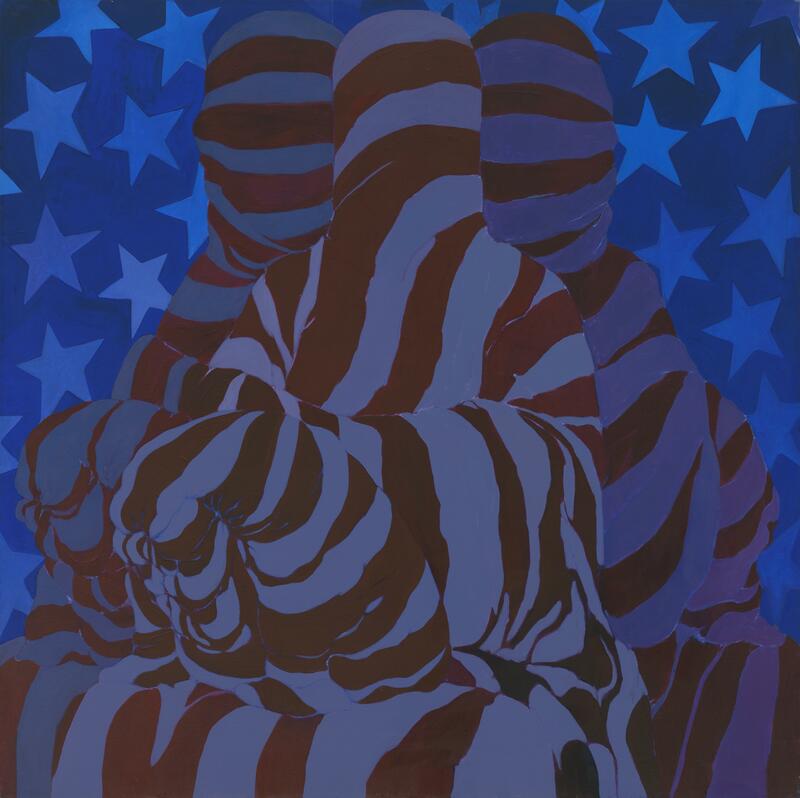 From left to right: Black Panther Party for Self-Defense, The Racist Dog Policemen Must Withdraw Immediately from Our Communities…, c.1970; Charles B. Hinman, Red Figure, 1967; William N. Copley, Untitled (Think/flag), 1967; Allan D’Arcangelo, Dipped, 1967; Nancy Grossman, Head 1968, 1968. Photograph by Ron Amstutz. 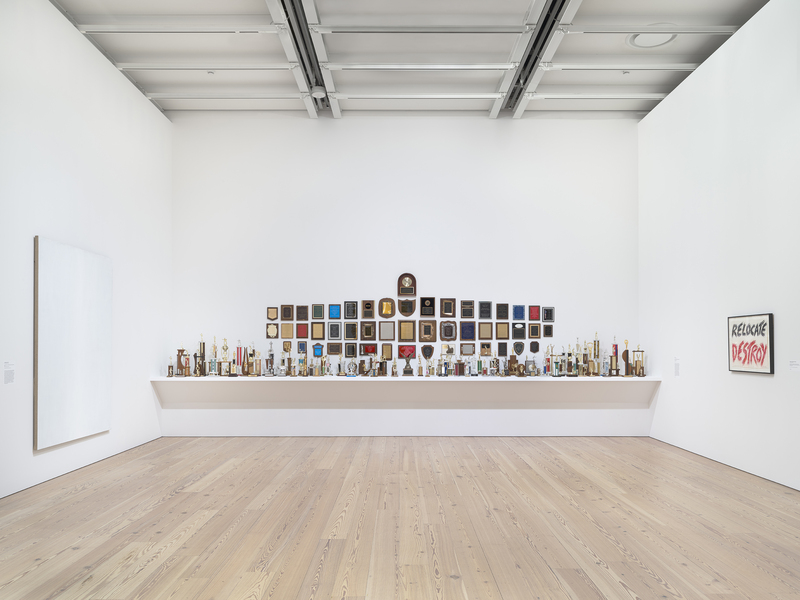 Installation view of An Incomplete History of Protest: Selections from the Whitney’s Collection, 1940-2017 (Whitney Museum of American Art, New York, August 18, 2017–). From left to right: Tim Rollins and K.O.S., The Whiteness of the Whale II (after Herman Melville), 1991; Carl Pope, Some of the Greatest Hits of the New York City Police Department: A Celebration of Meritorious Achievement in Community Service, 1994; Hock E Aye VI Edgar Heap of Birds, Relocate Destroy, In Memory of Native Americans, In Memory of Jews, 1987. Photograph by Ron Amstutz.